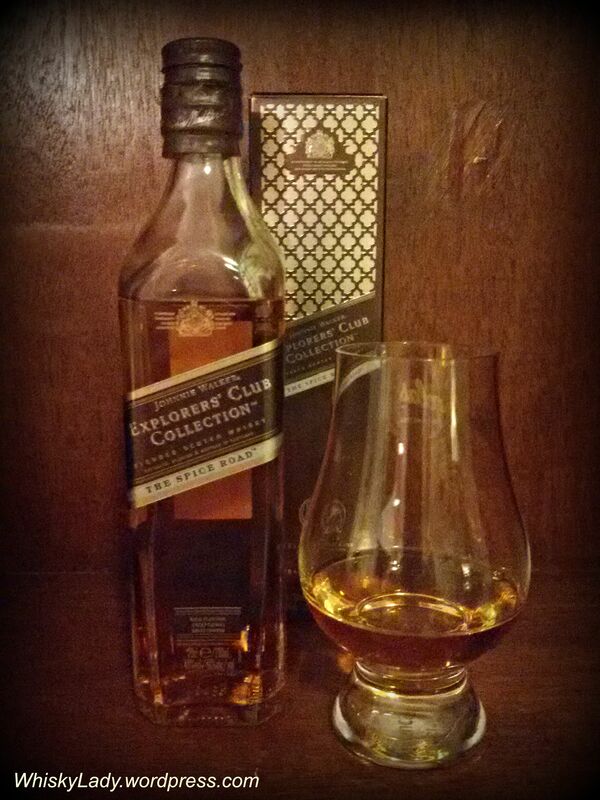 First up in our “revisit” evening was a vetted malt from Johnnie Walker. 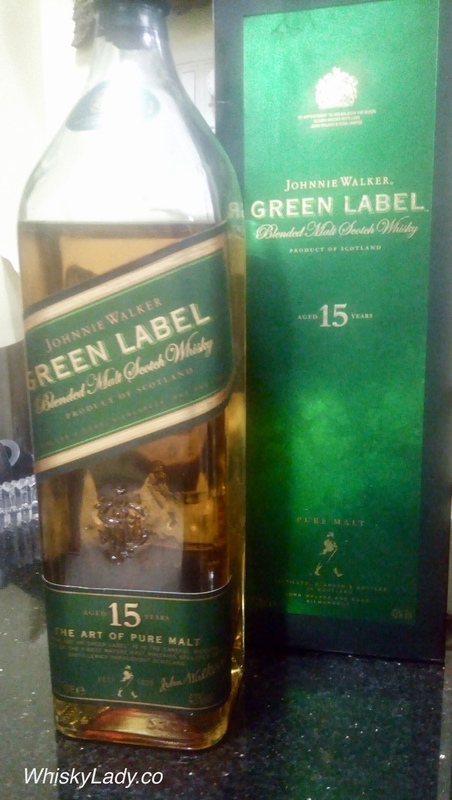 For those not familiar, Green Label is a vatted malt – meaning a blend that uses only malt whisky not grain. The four distilleries used include Talisker, Linkwood, Cragganmore and Caol Ila. As usual, we sampled completely blind, discovering only later what we were imbibing. One remarked it isn’t such a bad “Starter Dram”…. and the “classic” quality was one we appreciated. There was a lot of speculation, with blend being bantered about as an option and even speculation of grains? Our host shared he acquired this particular bottle some 6-7 year previously. For most, this was a revisit… albeit after many years as Green Label was for some time discontinued. Last in our experimental evening was another whisky you don’t often get to try as a single malt. 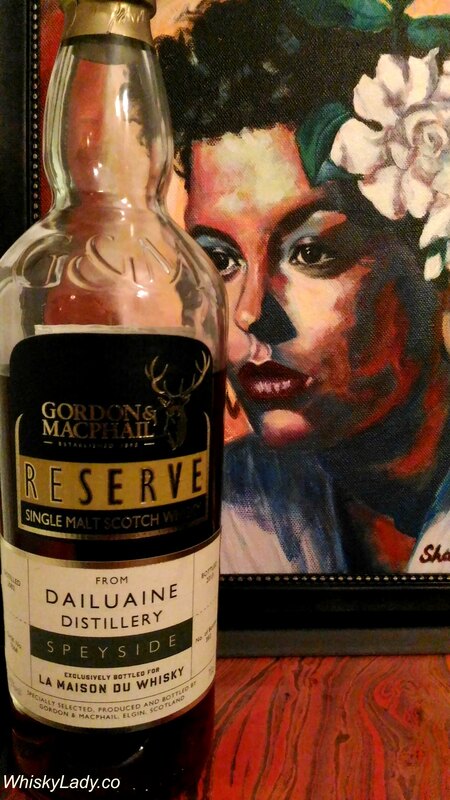 If you are Johnnie Walker fan, you’ve had Dailuaine without even realizing it! The folks over at Diageo describe Dailuaine as a “A complex whisky that can impress mightily.” Considered a Diageo ‘workhorses’, the distillery name is taken from the gaelic ‘dail uaine’ meaning green valley. However you won’t often find this whisky outside of independent bottlers. Currently there is only the Dailuaine 16 year, part of the Flora and Fauna series, available as an official bottling. We sampled it blind… and what did we find? Water – Caution… don’t add too much. Just a drop brings out more toffee coffee chocolate. A few more and muddles the magic. This one took time to fully open up and reveal all its secrets. A completely sinful desert so rich that just a small spoonful satisfies. I love 200 ml bottles of whisky! It is the perfect amount to sample solo, with a friend or two and even revisit. Even better when they come free… as this little one did. Though I will admit, I did not buy the Johnnie Walker 1 L bottle that had it attached. 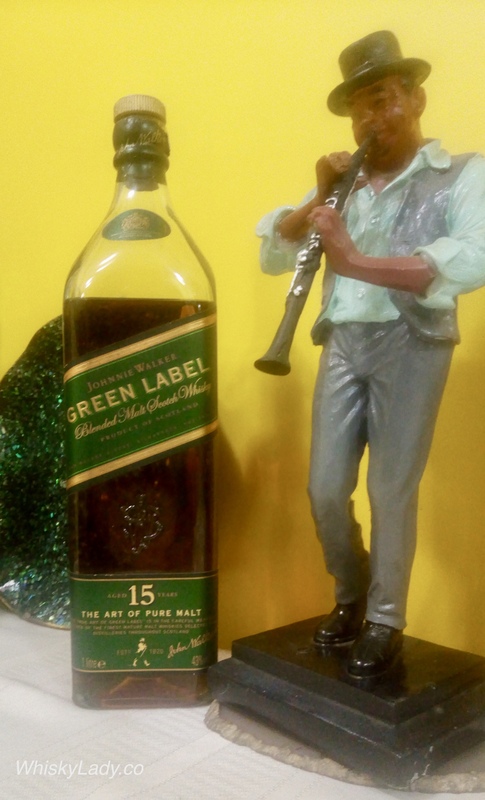 I will also admit the last time I had any kind of Johnnie Walker was at “The Journey” festival at Mehboob Studios in December 2014. For those in Mumbai end of the year – it really is a fabulous cultural event well worth catching! Water – Even with just a couple drops its insipid – just don’t! At 40% it honestly is a bit wimpy, not complex and while the ‘spices’ are there, it isn’t in a well-rounded lip smacking kind of way. So I recalibrated my expectations and threw caution to the wind! It was a warm evening..
Would it do well with ice? Not bad. In fact if this is served at the next ‘The Journey,’ I might go for it… or consider it as a base for a more interesting cocktail – clearly others have this idea too! However as a duty-free exclusive that is unlikely. So what’s this JW expression all about? What do they say about The Spice Road? Which reminded me that I’ve been meaning to pull out my standard Caol Ila 12 year for a proper tasting for quite some time. If you can believe it, a bottle has been kicking around my whisky cabinet at the ready to join an impromptu party or sociable occasion for more than a year… seriously. Much as I enjoy a good dram in convivial settings, when it comes to tasting notes, I prefer focusing on the whisky alone either in a very small group of fellow whisky aficionados or solo. And for whatever inexplicable reason, those moments haven’t turned attention to my neglected Caol Ila. Until a few nights ago on my own and again last night at an insanely enjoyable inaugural ‘Whisky Ladies’ evening in Mumbai. 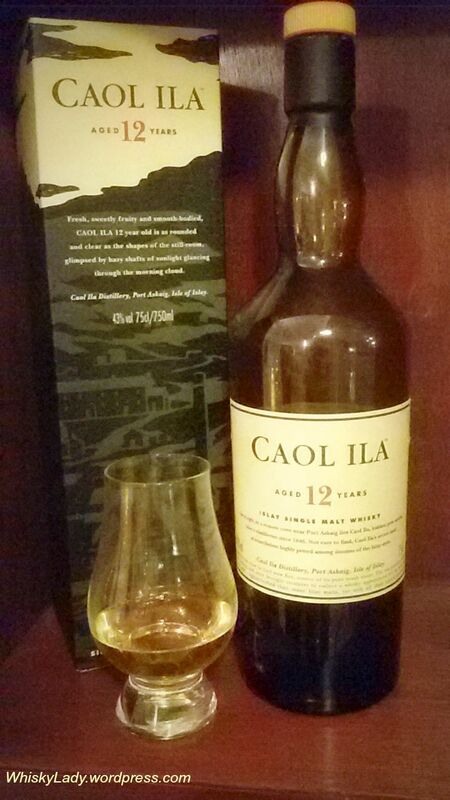 I find the Caol Ila 12 one of those absolutely dependable and under-rated Islay whiskies. It has that characteristic peaty element however without the dramatic boldness found in some Islays. While more subdued, it is also more balanced. In short, it is one you can reach out for and simply enjoy. And I realised anew why this whisky was one of my early staples… as in back in the day when I’d had little exposure to the world of whisky. Blame the Caol Ila among a few others for getting me hooked on to exploring more about this elixir of the gods. 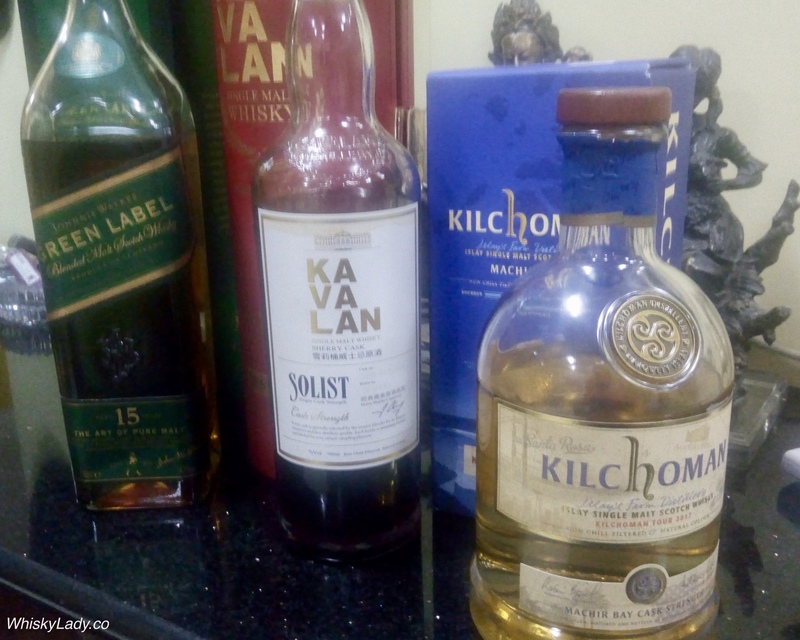 I also can see why this whisky appeals to a desi palate… after all it is a key element in the ever popular Indian favourite Johnnie Walker Black Label. And if any of you remember that vatted malt Green Label? Yup! Once again – think Caol Ila. As for the Gordon & MacPhail bottle that prompted my pulling out this Caol Ila for a revisit? Believe it or not I had a few wee drops squirrelled away just to compare. Without a doubt the same family, however the Gordon & MacPhail Caol Ila 12 year is a more mellow, more complex, more nuanced single malt and takes everything I enjoy about Caol Ila and makes it more exquisitely etched… like bringing an appealing slightly blurry photo into rich focus.